I have been saving secretly so I can buy my dream camera that has been in my wish list. 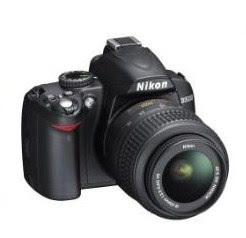 This is a Nikon D3000 DSLR Camera w/ 18-55mm Zoom-NIKKOR VR Lens which falls between the prices of $410 - $691. You can see other kinds of camera like easyshare digital camera at PriceSpider. They have wide selection of electronic devices from different stores worldwide. PriceSpider.com is a website that searches the internet for the best prices on the stuff you want. You can find everything you want at their website and you can compare prices as well. Get online now and visit the website. It's in my wish list too! my dream camera too bayot....either nikon or cannon...basta I want one...ehhehee...ala pko budget man...ehhehe! am sure makapalit raka ani puhon tsang...palit sa una ug laptop...ehehehe!